NASHVILLE, TN – Google Maps and Google Places may seem like the same product with two different names, but that isn’t the case. In a recent post, we outlined the success of Millionairium’s client, CariniAir.com. With the help of our SEO services, Carini Air shot to the top spot of Google Places, and they’ve seen a 50% increase in qualified leads as a result. While CariniAir.com reigns supreme on Google Places, they aren’t #1 on Google Maps. Let’s delve into why and how these two differ. If you’ve searched the Internet for directions in the past few years, chances are you’ve used Google Maps. This extensive free mapping service gives us directions and even offers a super helpful Street View, which plops us down virtually in front of basically any address. If someone searches “restaurants” in Google Maps, depending on how zoomed in the map is, they might find 30+ restaurants. Having a great ranking in Google Places will help your business make it to the first, larger map people view in Google Maps. Google Places is a web listing (think Yellow Pages) that includes photos, reviews, a map, and other information about a business. 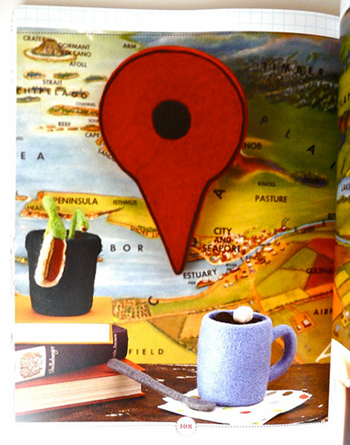 Google introduced Google Places on April 20, 2010 as a revamping of their previous service called Place Pages. Starting in 2011, Google started using Google Places listings instead of Google Maps on its main search page. These listings share the pin as well as the location on the map with Google Maps, however, the big difference is that they’re basically a combination of previous Google Maps and the organic results, thus having the site’s title as well as the description under each listing. Google Places allows business owners and patrons to upload photos, which is especially popular for restaurants. Patrons can also leave reviews, which can help prospective customers decide whether or not they’ll choose your business over another. Businesses can easily share hours of operation, add relevant categories (or search terms), and offer customers special coupons and promotions. If you have a specific service area, you can enter this information, too, so that your business’s information will be geographically-focused. Even if you haven’t listed your business on Google Places, your information may still be visible. This is because through crawling, Google sets up unverified business listings on Places. If your business has a listing, you can search your business on Google Places. On the business listing, you’ll see information on the left about the business, and on the right side of the page you’ll see a small map. (Clicking the map will take you to a larger map and a smaller listing on the left side, i.e., Google Maps). Above the map, you’ll see a few links: one titled “Edit this Place” and the other titled “Business Owner”. To verify your business’s listing, you can click the “Business Owner” link and update your company’s information. Once you’ve done that, your listing will be labeled as “Owner-Verified”. If you don’t know how to list your business on Google Places, watch this video by Millionairium’s CEO Ali Husayni to see how easy it is. Once you’re listed, ask your returning customers to write a positive review for your business. The more your listing is rated, the higher your business will be in Google Places rankings. Having reviews on other rival websites such as Yelp and TripAdvisor can certainly be helpful, but this Wall Street Journal article reiterates the importance of a Google Places listing in search engine results, as writer Amir Efrati explains. “Links to the pages often appear near the top of the search results page when people search for information on local businesses, in part because they aren’t subject to the same Google algorithm that ranks other websites in search results. Google Places links often are ranked above links to Yelp, TripAdvisor and UrbanSpoon and Citysearch, which are owned by IAC,” Efrati says. Google Places expert Randy Kirk operates the blog Google Places Help, which provides free tips to business owners who want to optimize their Google Places listing. In a recent blog post about the importance of SEO content in Google Places rankings, Kirk writes that paying attention to every aspect of it is a must. “No matter how closely you watch the changing world of how to rank on Google Places, it is a major mistake to take your eye off the main prize, and that is being highly ranked on the everything search for keywords you care about,” Kirk says. Having a focused SEO plan, plus listing your business on Google Places, can increase the likelihood that your customers will find you. Contact Us to see if we can provide these services for your website. Jessica, great article on how to rank better on Google Places. I\’m working on a client\’s SEO right now and at last count, we found that someone in the client\’s office had set up at least 10 different Google Profiles and Google Places that we\’ve been able to find! Now we\’re determining which to keep and which to delete; thanks for the info.